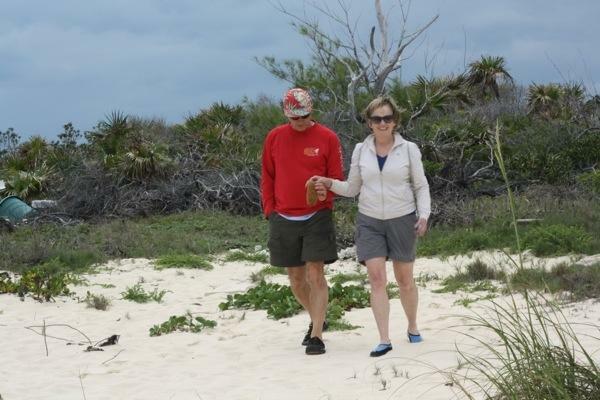 We’d traveled to Cambridge Cay, located in the Exuma Land and Sea Park, and hoped that despite the chilly, blustery weather from the front we could still show Bruce and Kathy some beautiful sights. 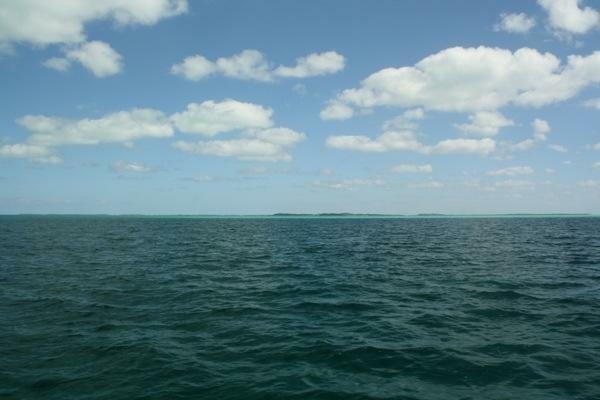 The Bahamas helped with that because of course everywhere they looked was surrounded by brilliant shades of blue. Brian and I were COLD; north – northwest winds had dropped the temperature to an estimated 60-degrees! 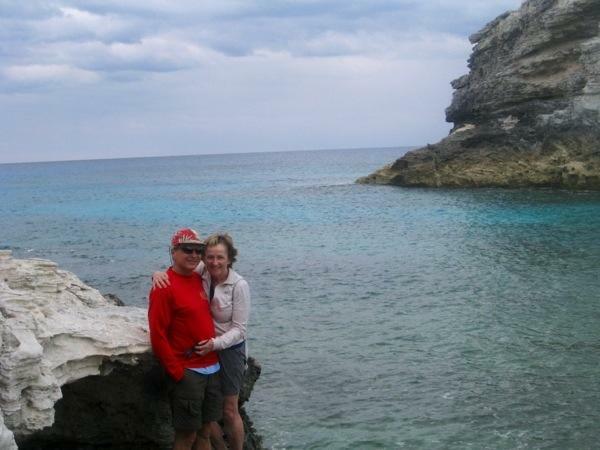 Bruce and Kathy were loving the warmth having escaped snowy, truly COLD Pennsylvania. On this vacation morning, we pulled ourselves out from beneath our cozy fleece blankets and climbed into the dinghy for exploring. 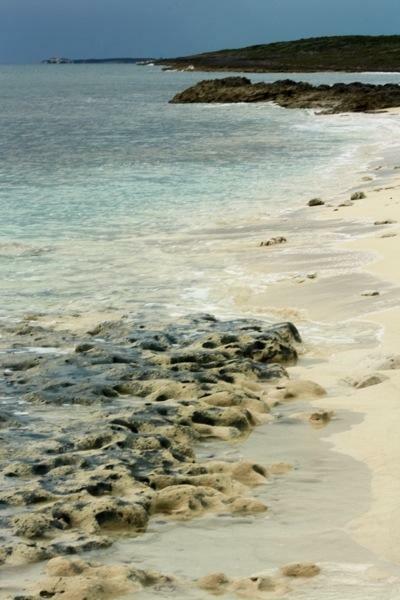 Cambridge Cay offered a hiking trail that enabled us to circumnavigate the island. 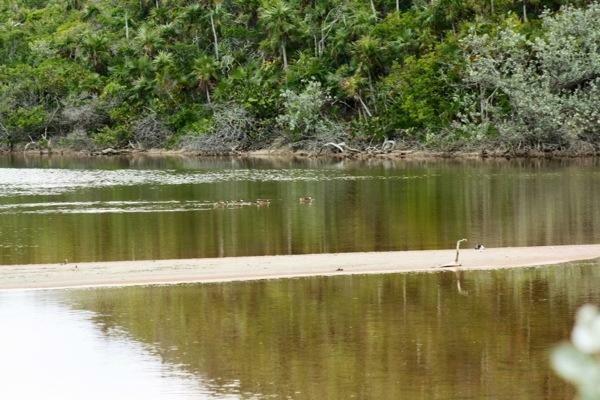 We began by crossing from the Banks side to the Sound side of the island. 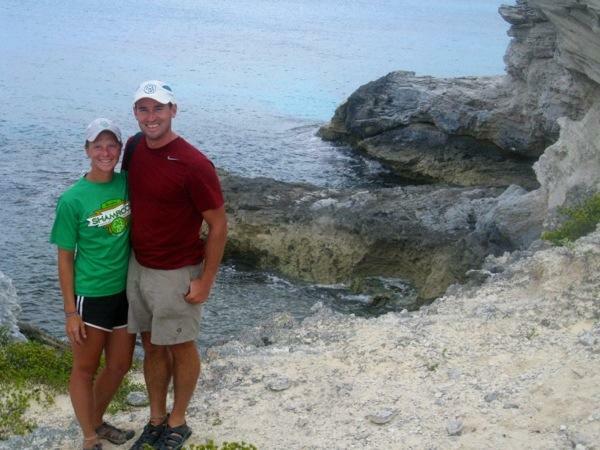 Then, we climbed the trail along the coast and marveled at the calm ocean waters below. We spotted a hutia hiding in the brush. 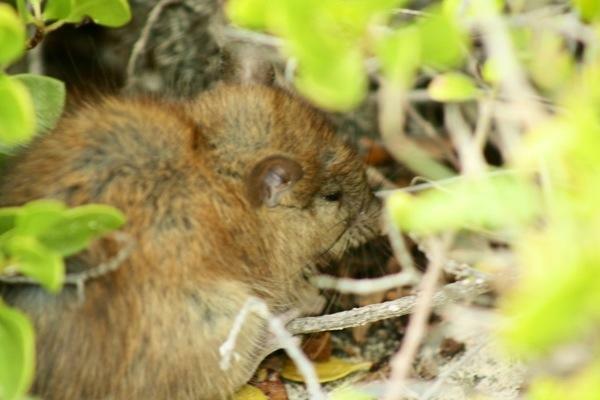 These small, rodent-like, mammals are indigenous to the Bahamas. 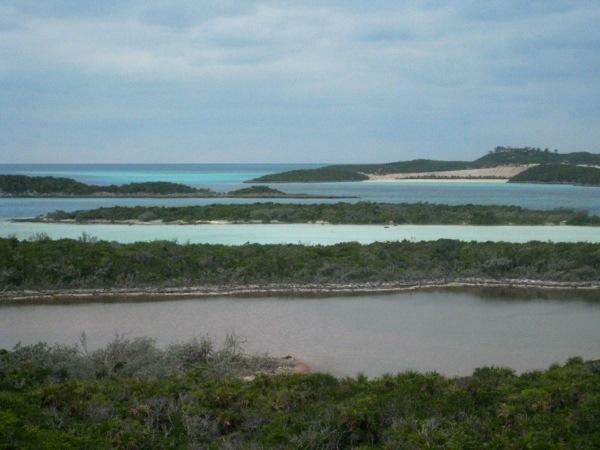 They reside on several islands within the Exuma Land and Sea Park boundaries. Along the way we met some fellow cruisers who were fish-watching from the cliffs. 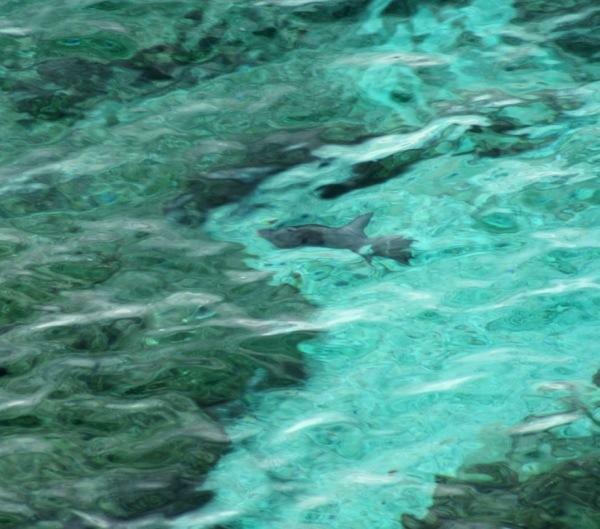 Can you imagine the water so clear that we could easily spot trigger fish and a barracuda from high above! We continued on back along the Banks side of Cambridge Cay. We checked out the pond we had viewed from above and spotted some ducks swimming. 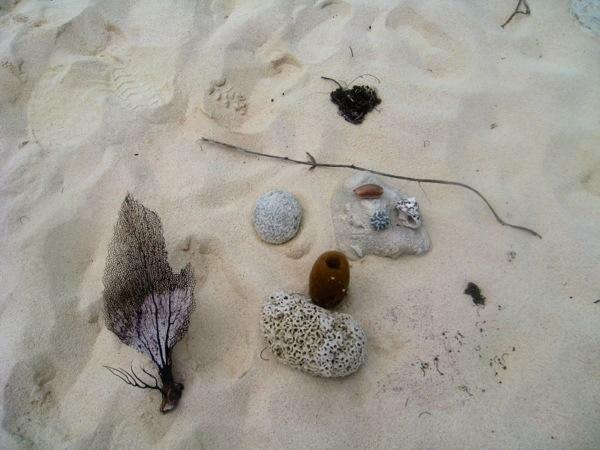 We combed the beach for goodies and found a patch of coral fans that someone walking before us had neatly lined along the beach. Back near the dinghy we were racing the rain as more dark clouds were rolling over the cay. We were glad to have a mooring ball fully protected from a westerly wind. We made it back to Rode Trip just before the first raindrops fell and were glad to be out of the wind! 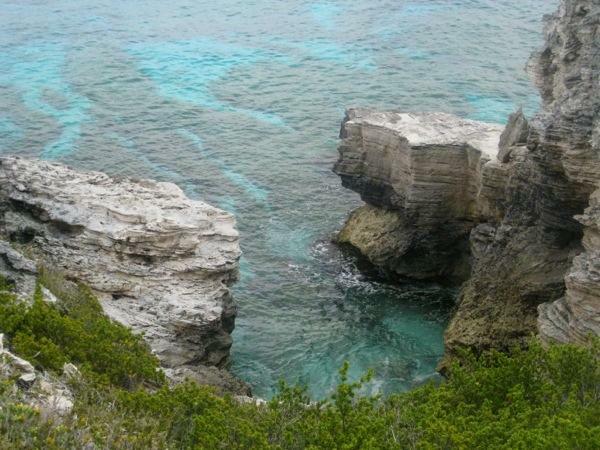 This entry was posted in Uncategorized and tagged bahamas, Cambridge Cay, Exuma Land and Sea Park by stephanie. Bookmark the permalink. Don’t feel bad about wanting to bundle up at 60 degrees, Stephanie. When we were going down the ICW past Jupiter the other day, winds were 20 mph so I had a sweatshirt on, and all the locals around me were only in their suits. Hope you enjoyed Paradise Island. 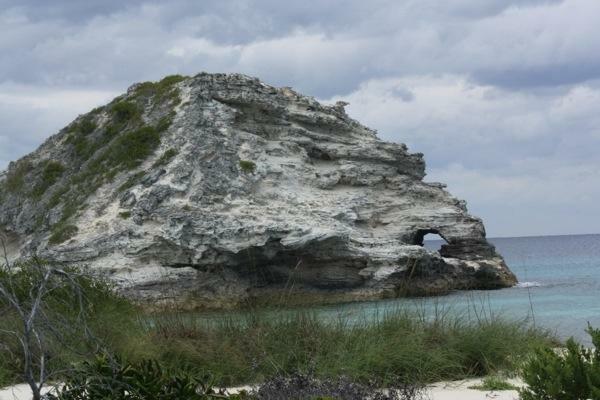 We’re finishing our own tour of the Exuma Islands, each one has a bit of paradise to offer. 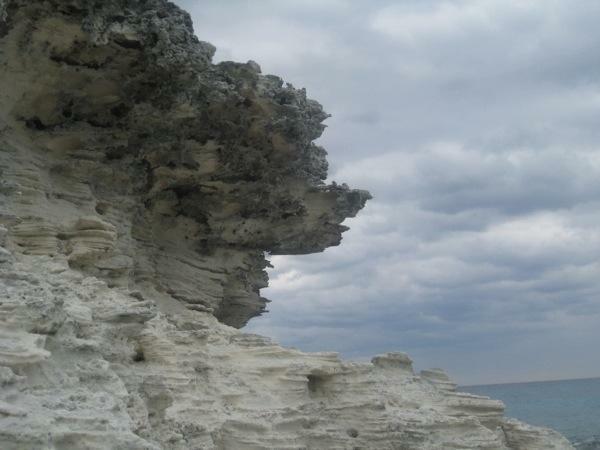 It was great..all fun….Paradise for sure.